This work is subject to copyright. All rights are reserved, whether the whole or part of the material is concerned, specifically the rights of translation, reprinting, reuse of illustrations, recitation, broadcasting, reproduction on microfilm or in any other way, and storage in data banks. Duplication of this publication or parts thereof is permitted only under the provisions of the German Copyright Law of September 9, 1965, in its current version, and permission for use must always be obtained from Springer. Violations are liable to prosecution under the German Copyright Law. Building on its heritage in planetary science, remote sensing of the Earth's atmosphere and ionosphere with occultation methods has undergone remarkable developments since the first GPS/Met 'proof of concept' mission in 1995. Signals of Global Navigation Satellite Systems (GNSS) satellites are exploited by radio occultation while natural signal sources are used in solar, lunar, and stellar occultations. A range of atmospheric variables is provided reaching from fundamental atmospheric parameters such as density, pressure, and temperature to water vapor, ozone, and other trace gas species. 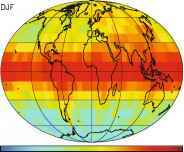 The utility for atmosphere and climate arises from the unique properties of self-calibration, high accuracy and vertical resolution, global coverage, and (if using radio signals) all-weather capability. Occultations have become a valuable data source for atmospheric physics and chemistry, operational meteorology, climate research as well as for space weather and planetary science. The 3rd International Workshop on Occultations for Probing Atmosphere and Climate (OPAC-3) was held September 17-21, 2007, in Graz, Austria. OPAC-3 aimed at providing a casual forum and stimulating atmosphere for scientific discussion, co-operation initiatives, and mutual learning and support amongst members of all different occultation communities. The workshop was attended by 40 participants from 14 different countries who actively contributed to a scientific programme of high quality and to an excellent workshop atmosphere. The programme included 6 invited keynote presentations and 16 invited presentations, complemented by about 20 contributed ones including 8 posters. It covered occultation science from occultation methodology and analysis via results of recent occultation missions and application of occultation data in atmospheric and climate science to the presentation of future occultation missions. The detailed programme and all further workshop information will continue to be available online at the OPAC-3 website at http://www.uni-graz.at/opac3. Key challenges, as defined by the workshop participants, are to establish occultation as a future climate monitoring system demanding the demonstration of trace-ability to the International System of Units (SI), which is a fundamental property of a climate benchmark data type. Enhancement and validation of processing chains for the quantification of uncertainty between different retrieval methods and processing systems are further important requirements. Of high importance in this respect is the continuation of GNSS radio occultation missions with a sufficient number of satellites as well as the conveyance of new mission concepts towards new horizons in occultation research. This book was compiled based on selected papers presented at OPAC-3 and well represents in its five chapters the broad scope of the workshop. Occultation methodology and analysis with an overview on applications is given in chapter 1. The use of solar, lunar, and stellar occultations from SCIAMACHY and GOMOS onboard ENVISAT for atmospheric studies is described in chapter 2. Chapter 3 and chapter 4 present applications of GNSS occultation from the current missions CHAMP and Formosat-3/COSMIC for atmospheric and climate studies. The topics comprise the use of occultation data in numerical weather prediction and atmospheric wave analysis as well as in climate monitoring and change research. Upcoming occultation missions and new concepts are presented in Chapter 5. We cordially thank all OPAC-3 colleagues, who contributed as authors and coauthors to the book, for their effort and work. All papers were subject to a peer review process, involving two independent expert reviewers per paper from the community of OPAC-3 participants and beyond. We very much thank these reviewers for their important service to ensure scientific correctness and high quality of the book. The reviewers, in alphabetical order, were S. P. Alexander, L. K. Amekudzi, C. O. Ao, G. Beyerle, C. Boone, K. Bramstedt, S. Cho, L. B. Cornman, M. Dominique, A. von Engeln, U. Foelsche, J. M. Fritzer, S. Healy, S.-P. Ho, K. Hocke, N. Jakowski, Y.-H. Kuo, B. C. Lackner, F. Ladstadter, K. B. Lauritsen, S. S. Leroy, A. Loscher, J.-P. Luntama, A. G. Pavelyev, M. Petitta, D. Pingel, B. Pirscher, P. Poli, T. M. Schr0der, S. Schweitzer, V. F. Sofieva, S. V. Sokolovskiy, A. K. Steiner, M. Stendel, S. Syndergaard, A. de la Torre, F. Vespe, J. Wickert, and J. J. W. Wilson. Special thanks are due to Mrs. Helen Rachner and Mrs. Janet Sterritt-Brunner from Springer Verlag, Heidelberg, for the kind offer to issue this book as Springer publication and for the related technical support. Many thanks also to all others who provided support in one or another way, in representation of which we thank the sponsors of OPAC-3 (http://www.uni-graz.at/opac3). The Department of Science and Research of the Province of Styria is especially thanked for providing financial support enabling to cover the costs of the book. We hope that, in the spirit of the OPAC-3 aims, the book will become a useful reference for the members of the occultation-related community but also for members of the science community at large interested in the present status and future promise of the field of occultations for probing atmosphere and climate. Abstract Several GPS Radio Occultation (RO) missions (GRACE-A (GRavity And Climate Experiment), FORMOSAT-3/COSMIC (FORMOsa SATellite mission-3/Constellation Observing System for Meteorology, Ionosphere, and Climate), and MetOp) started data provision in 2006 and 2007. Together with the measurements from CHAMP (CHAllenging Minisatellite Payload, since 2001) and the recently launched (June 15, 2007) TerraSAR-X an operational multi-satellite constellation for precise GPS based atmospheric sounding became reality. The data base is supplemented by measurements from SAC-C (Satelite de Aplicaciones Científicas-C). Our contribution briefly reviews current GFZ activities regarding processing and application of GPS RO data from different satellites. These activities include precise satellite orbit determination and the provision of near-real time analysis results for weather forecast centers within 2 h after measurement. 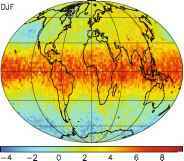 Available satellite data are used for climatological investigations of global gravity wave characteristics. recent GFZ activities. These include orbit, atmospheric, and ionospheric occultation data analysis for several satellite missions (CHAMP (Wickert et al. 2004), GRACE-A (Wickert et al. 2005), SAC-C (Hajj et al. 2004), TerraSAR-X, and FORMOSAT-3/COSMIC (Anthes et al. 2008); see Fig. 1), but also scientific applications of the GPS radio occultation data. activation of rising occultations aboard GRACE-B. Technical aspects of such activation are currently under evaluation. For more details see Wickert et al. (2009) and references therein. We briefly review current GFZ activities in RO data processing and validation (Sects. 3.1-3.4) and present new gravity wave results (Sect. 4). Other activities at GFZ, related to the application of GPS RO data as, e.g., global investigations of tropopause parameters and ionospheric disturbances, are treated by, e.g., Schmidt et al. (2005, 2006); Viehweg et al. (2007); Wickert et al. (2009). 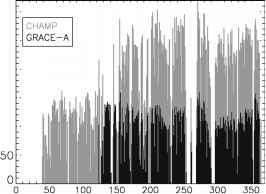 GPS RO data from CHAMP, GRACE (complete data set, see Fig. 2), and SAC-C (August 18-October 22, 2001 and March 11-November 16, 2002) have been processed by GFZ, including precise satellite orbit determination (GPS and LEO), atmospheric excess phase calibration, and inversion to get atmospheric parameters. The algorithms for the GFZ orbit and occultation processing are described in several publications (e.g., Wickert et al. 2004, 2006a, 2009; Konig et al. 2005a,b). The FORMOSAT-3/COSMIC temperature profiles for the gravity wave study, presented in Sect. 4, were provided by UCAR (University Corporation for Atmospheric Research, Boulder). Current plans at GFZ related to the GPS RO data analysis are, e.g., a complete reprocessing of the CHAMP and GRACE data including the calibration files (level 2, PD, atmospheric Phase Delay) and the extension of the operational analysis software to process OpenLoop (OL, see, e.g., Sokolovskiy et al. (2006)) data from FORMOSAT-3/COSMIC, TerraSAR-X, or SAC-C (after 2003). Initial GFZ results of orbit and OL processing for selected examples of FORMOSAT-3/COSMIC data were presented by Michalak et al. (2007a) and Wickert et al. (2009). There are currently no plans for an operational FORMOSAT-3/COSMIC processing at GFZ. The GFZ processing system will be extended to operationally generate vertical electron density profiles. These data can be used for several applications in ionospheric research and space weather monitoring and forecast (e.g., Hajj et al. 2000; Jakowski et al. 2005). Figure 3 shows the first vertical electron density profile, derived with GFZ software from CHAMP SST (Satellite-Satellite Tracking) GPS observation processing level. The data are compared with inversion results from UCAR (Schreiner et al. 1999), DLR (Jakowski 2005), and in-situ data, provided by the Planar Langmuir Probe (PLP) aboard CHAMP. We have used the differences of the excess phases L1 - L2 during the occultation (1 Hz data), which directly can be converted to a series of TEC values (Total Electron Content). Orbit and clock errors are automatically eliminated in the difference. The series of TEC data can be converted to a vertical electron density profile using the spherical symmetry assumption by Abel inversion. Details of this technique are given by Schreiner et al. (1999). In contrast to the authors, we apply an alternative technique for the absolute calibration of the TEC values before Abel inversion, described by Lei et al. (2007). This approach is used to estimate the exponential decrease of the electron density vs. height above the orbit altitude. and left plot in Fig. 3), the GFZ profile is more close to the UCAR or DLR solution. GFZ and UCAR profiles show remarkably good agreement with the completely independent PLP measurements. Future work will be related to the optimal choice for the TEC calibration and to the automatization of the ionosphere profiling. 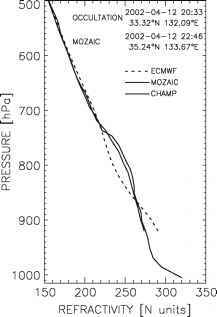 both CHAMP humidity retrieval methods come to similar results revealing significant improvement over the ECMWF specific humidity in comparison to MOZAIC data. 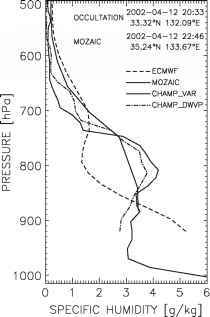 This is obviously due to better refractivity agreement between MOZAIC and CHAMP than between MOZAIC and ECMWF (Fig. 5, right). The Near-Real Time (NRT) processing is an essential key in ensuring that the GPS radio occultation data collected by CHAMP and GRACE are fully exploited and benefit the numerical weather prediction. Various weather forecast centers monitor and assimilate GPS RO bending angle and refractivity profiles from FORMOSAT-3/COSMIC, CHAMP, and GRACE since September 2006. These centers are ECMWF, Met Office, Japan Meteorological Agency (JMA), Meteo France, National Center for Environmental Prediction (NCEP, US), and Deutscher Wetterdienst. Results of a recent impact study with GPS RO data from CHAMP and GRACE-A NRT data were published by Healy et al. (2007). Federal Ministry of Education and Research within the GEOTECHNOLOGIEN research program. The project is also supported by contributions from ECMWF and Met Office. The main goals of this project are: 1. The development of appropriate analysis software for the precise and rapid derivation of GPS and LEO satellite orbits and globally distributed atmospheric profiles from GPS SST data; 2. The demonstration of a NRT provision of atmospheric data from CHAMP and GRACE-A with an average delay of less than 2 h; and 3. The corresponding assimilation in global weather models. Bending angles and refractivities are made available with average delay between the LEO measurements and provision of corresponding atmospheric data of less than 2 h since 2007 with the activation of the new NRT processing mode on February 21 (doy 52) for CHAMP and on June 26 (doy 177) for GRACE-A (see Fig. 6, Fig. 7). The monitoring of the GFZ data product latency at the Met Office (http://monitoring.grassaf.org) confirms that processing at GFZ delivers continuously data in a timely manner - some 50% of the data arrives in less than 2 h and almost all within 3 h (personal communication, Dave Offiler, Met Office, 2008). A crucial task of the NRT data analysis is the precise and rapid satellite orbit determination. More details on this task are given by Michalak et al. (2007b) and Wickert et al. (2009). e.g., temperature variances, momentum fluxes, or (potential) energy. But this view depends on the used measurement characteristics, which was described in more detail by Wu et al. (2006). According to the categorization of Wu et al. (2006) GPS RO belongs to the sensors, which observe the atmosphere through a long transparent LOS (Line of Sight) path centered at the tangent point where most of the signal comes from. Since such instruments normally have a narrow field of view (FOV), their vertical resolution is often excellent, while their horizontal resolution is coarse due to the LOS-smearing. Thus, GPS RO is mostly sensitive to GWs with small ratio of vertical to horizontal wavelengths Xz /Xh. Up to the present, GW analysis from GPS RO temperature measurements is restricted to vertical wavelengths mostly less than ~10 km to separate the GWs from the background and planetary waves (PW). The current restriction to provide only vertical GW information with GPS RO is caused by the sparse temporal and spatial measurement density provided by a single satellite only (e.g., CHAMP). Data from missions as FORMOSAT-3/COSMIC could also allow to derive information on horizontal GW properties. In the past several GW studies based on GPS RO were mainly focussed on the lower stratosphere (Tsuda et al. 2000; Ratnam et al. 2004a,b; de la Torre et al. 2006a,b, 2009; Frohlich et al. 2007). 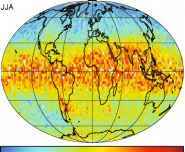 A study to Kelvin waves using the CHAMP data set from 2001 to 2003 was performed by Randel and Wu (2005). resolution is only 10° x 10°. The FORMOSAT-3/COSMIC mission offers new possibilities because of the much better data density (about 10 times more temperature profiles daily than CHAMP). Figure 8 (bottom) demonstrates this showing only one NH winter and summer season, but with a horizontal resolution of 2.5° x 2.5°. These plots represent first GW related results with FORMOSAT-3/COSMIC data using the GFZ GW analysis software, which is described in more detail by de la Torre et al. (2006b) for the CHAMP data. of occultation measurements is planned for 2008. GFZ is planning a near-real time data provision similar to CHAMP and GRACE-A. The multi mission reception of GPS data from CHAMP, GRACE-A, and TerraSAR-X at the GFZ receiving station Ny ¿Alesund, Spitsbergen, was already successfully demonstrated. Several test campaigns took place between July and October 2007 using both antennas for either redundant or parallel satellite reception. During these time periods also near-real time orbit processing was activated. 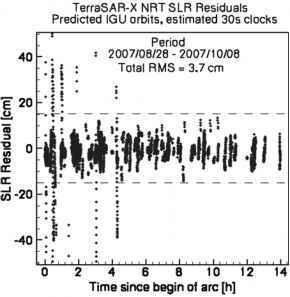 Figure 9 shows results of a comparison of TerraSAR-X NRT orbit data with SLR (Satellite Laser Ranging) measurements between August 28 and October 8, 2007. The comparison yields an average RMS of 3.7 cm, which is in good agreement with the NRT orbit comparisons from CHAMP and GRACE-A with SLR (Michalak et al. 2007b). The operational NRT reception of IGOR data from TerraSAR-X was activated for a longer period from October 2007 until mid February 2008. The TerraSAR-X occultation data are recorded in OpenLoop (OL) mode (see, e.g., Beyerle et al. (2006); Sokolovskiy et al.(2006)). To analyze the OL data the navigation bit information from the respective occulting GPS satellite is required. 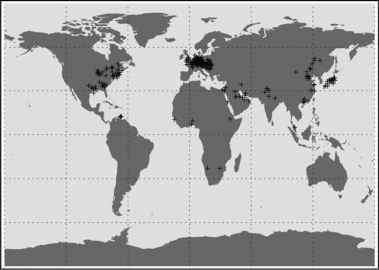 For this purpose GFZ operates a dedicated global ground network (Beyerle et al. 2008), which currently (as of end 2008) consists of 6 stations. Several GFZ results from the current GPS RO multi-satellite constellation were presented. CHAMP is generating the first long-term set of GPS radio occultation data, which is expected to cover at least a period of 8 years. GRACE-A is expected to extend this data set until at least 2013. CHAMP and also GRACE-A data are provided to various international weather centers and stimulated the use of GPS RO data for numerical weather forecast. Currently these data are provided with average delay of less than 2 h.
Initial results of ionospheric occultation processing at GFZ were presented. The profiles are in good agreement with inversion results from other centers but also with PLP data from CHAMP. Further work is needed for an automatization of the processing. FORMOSAT-3/COSMIC orbit and occultation data are processed at GFZ for selected periods. Currently the OpenLoop analysis of the occultation data is not yet operational. Results on validation of RO data with airplane measurements within the international MOZAIC research program were presented. It was shown, that these data are a valuable source for the evaluation and improvement of the GPS RO data quality. Data from CHAMP, GRACE-A, SAC-C, and FORMOSAT-3/COSMIC are used to derive characteristics of vertical gravity waves on a global scale. It was shown, that especially the FORMOSAT-3/COSMIC data allow a significant enhancement of the spatial and temporal resolution of these investigations. It is expected that TerraSAR-X will extend the current multi-satellite configuration for GPS RO with continuous occultation activation in 2008. Current activities are aimed to provide TerraSAR-X occultation data also in near-real time, similar to CHAMP and GRACE-A. Initial results on NRT orbit determination of TerraSAR-X were presented, indicating appropriate accuracy for precise occultation processing. MetOp (EUMETSAT, launched October 2006) GPS occultation data are available since 2008. The Indian OCEANSAT-2 satellite is schedule for launch in 2009 and will carry an Italian GPS flight receiver with occultation capability (ROSA, Radio Occultation Sounder Antenna for the Atmosphere). In general the described multi-satellite configuration significantly increases the potential of GPS RO for atmospheric sounding on a global scale with application in weather forecast, climate research, and for other atmospheric investigations. Acknowledgements We thank the CHAMP, GRACE, SAC-C, FORMOSAT-3/COSMIC, and TerraSAR-X teams for their great work to guarantee the availability of GPS occultation data. The near-real time activities at GFZ and DWD are supported by the German Ministry for Education and Research within the GEOTECHNOLOGIEN program (Research project NRT-RO). This project is also aided by ECMWF and Met Office. We are grateful for this support. Last but not least, we also acknowledge the careful work of two anonymous reviewers to improve the paper. ionospheric sensing and space weather. Terr Atmos Ocean Sci 11:235-272 Hajj GA, et al. (2004) CHAMP and SAC-C atmospheric occultation results and intercomparisons. Abstract The CT/FSI (Canonical Transform/Full-Spectrum Inversion) technique permits achieving a high accuracy and vertical resolution in the retrieval of bending angle from radio occultation data. This technique can be universally applied for the (hypothetical) spherically-symmetric atmosphere and any multipath situation can be unfolded. The reason is that the CT/FSI technique uses a Fourier Integral Operator that maps the measured wave field into the impact parameter representation, and for a spherically-symmetric medium each ray has a unique impact parameter. For the real atmosphere with horizontal gradients the situation is different. Horizontal gradients result in the variation of the impact parameter along a ray. In the presence of strong horizontal gradients, a bending angle profile can become a multi-valued function. In this case, the CT/FSI technique in its standard variant will fail to correctly retrieve the bending angle profile. It is, however, possible to estimate bending angle errors. For this purpose we apply the sliding spectral analysis of the CT-transformed wave field. The spectral width is used as a measure of the bending angle errors. We perform numerical simulations with global fields from re-analyses of the European Centre for Medium-Range Weather Forecasts and show that this radio holographic technique can be effectively used for error estimation in the areas of multi-valued bending angle profiles. coordinates (coordinates and momenta) in phase space can be chosen in different ways. A particular choice is the physical coordinate and ray direction vector projection to the coordinate axis. This coordinate system is used for the description of the physical wave field. Multipath propagation corresponds to the multi-valued projection of the ray manifold to the coordinate axis. For the retrieval of the ray manifold structure it is however necessary to find another coordinate axis such that the ray manifold should have a single-valued projection upon it. For the rays in a spherically-symmetrical atmosphere the impact parameter is an invariant quantity that is constant for each ray. The impact parameter is, therefore, a unique coordinate along the ray manifold. Impact parameter and bending angle are conjugated coordinate and momentum. The canonical transform from the physical coordinate and ray direction vector projection to impact parameter and bending angle would then completely disentangle multipath structure. The impact parameter provides a universal coordinate choice for the case of the spherically symmetrical atmosphere. The situation changes as we consider the atmosphere with horizontal gradients. In this case, it is possible to introduce the effective impact parameter, whose definition will depend on the horizontal gradients of refractivity. It turns out that the standard CT algorithm can work in most practical situations. However, numerical simulations with global fields from the European Centre for Medium-Range Weather Forecasts (ECMWF) do also reveal cases where atmospheric horizontal gradients are strong enough to make the bending angle a multi-valued function of the effective impact parameter. Because the structure of the ray manifold depends on the unknown horizontal gradients, it proves impossible to specify a universal coordinate choice that can unfold multipath. Therefore, it is necessary to estimate bending angle errors. Two approaches were introduced for the dynamic estimate of bending angle errors, both based on the analysis of the CT/FSI-transformed wave field: (1) the sliding spectral analysis of the full complex wave fields in the transformed space (Gorbunov et al. 2005, 2006) and (2) the analysis of the fluctuation of the amplitude of the wave field in the transformed space (Lohmann 2006). 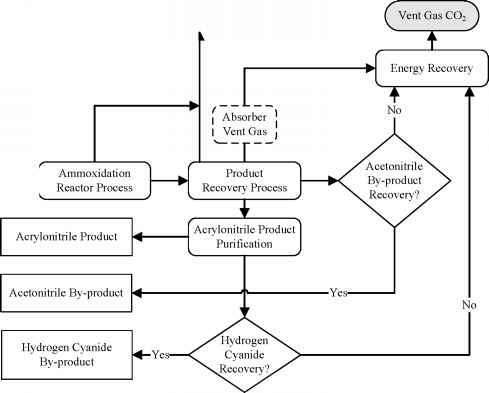 The first approach is applied in the operational processing of RO data. The second approach was recently used to estimate the summary effect of receiver tracking errors and lower-tropospheric turbulence and to generate maps of convection and turbulence structures (Sokolovskiy et al. 2007). Here, we estimate errors of the bending angle retrieval by using the sliding-spectral analysis of the CT-transformed wave field. We will present some atmosphere examples with horizontal gradients and obtain results for the corresponding bending angle error estimates.